Next month, San Jose will switch electricity suppliers — from PG&E to San Jose Clean Energy. The change is part of the city’s broader goal to become more environmentally friendly. Although President Trump announced in June he was pulling out of the 2015 Paris Agreement on climate change among almost 150 countries, San Jose Mayor Sam Liccardo has said he still wants the city to meet the greenhouse gas emission targets outlined in the accord. Thousands of residents and businesses will be affected by the switch from PG&E. Here’s what you need to know. 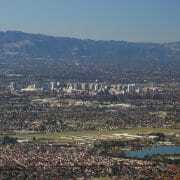 What is San Jose Clean Energy? 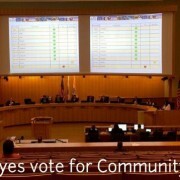 San Jose Clean Energy (SJCE) is what’s known as a community choice energy program. There are several such programs of locally controlled electricity providers in the region, including Silicon Valley Clean Energy and Peninsula Clean Energy. Why is San Jose switching? 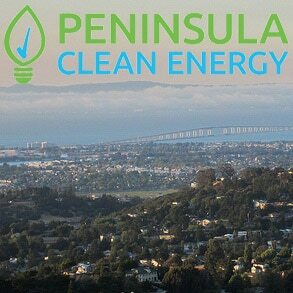 As a nonprofit, SJCE aims to provide cleaner energy options to customers than PG&E does, for roughly the same price. Right now, according to the city, only about a third of PG&E’s energy is from renewable sources and about 78 percent is carbon free. San Jose is offering two choices: Green Source is about 45 percent renewable energy and at least 80 percent carbon free; Total Green is 100 percent carbon free and 100 percent renewable. The program will cost about 1 percent less than what PG&E charges. The city estimates that the average Green Source cost will be about $109.49 a month, compared to PG&E’s $109.97. Total Green will cost a few dollars more, about $113.94. Electricity prices vary, but the city says the current SJCE rates are expected to remain steady until at least the spring of 2020. The program’s goal is to always be as competitive with PG&E’s rates as possible, and while that company has shareholders, SJCE is a nonprofit that does not. Nothing. In February, residents and businesses in San Jose will automatically be enrolled in the Green Source program. People who want to sign up for Total Green can upgrade and those who want to stick with PG&E can opt out. Really? Everyone is automatically signed up? Well, almost, but not quite. Residents who have rooftop solar panels will not automatically be enrolled in Green Source. The city says it expects to enroll those customers in the program in 2020, when “we can be certain you will receive a fair value for the solar you generate.” Residents can still sign up for Total Green, however, and commercial customers with solar can participate in SJCE. So I won’t hear from PG&E anymore? SJCE will generate the electricity but PG&E will still transmit and distribute it in San Jose. PG&E will also still handle customer and billing services, so your bill will still come from PG&E. The company will also still be responsible for maintaining power lines and providing natural gas services. Yes. PG&E charges what’s commonly known as an “exit fee” to people who participate in a community choice program. The reason PG&E says that’s necessary is because it has already purchased power for customers who will switch to a community choice program. But even with the fee, the total bill should still be slightly lower. Wait, didn’t PG&E just announce that it’s filing for bankruptcy? Yes, the company is planning to file for Chapter 11 protection. It faces potentially billions of dollars in costs tied to wildfires that have ravaged the state in the past several years. But the company has told San Jose there will be no interruption in power service for customers and SJCE is expected to launch in February as planned, said Zach Struyk, a deputy director with SJCE. The future of PG&E remains unclear, but the city said in a statement that SJCE and other community choice programs are “closely monitoring the situation and evaluating potential impacts” on customers. Is this really helping the environment? Yes. The city expects to see an 18 percent initial reduction in what are known as GHG emissions. That’s like getting 35,000 cars off the road. The website sanjosecleanenergy.org has more information about the program. People with specific questions can call 833-432-2454 or email customerservice@sanjosecleanenergy.org. The city is also hosting a series of community events through March to discuss the program. San Jose Clean Energy: What you need to know, by Emily Deruy, The Mercury News, January 19, 2019.